A past champion and current half marathon world record holder is among this year's field of elite runners competing at the 38th annual Back of America Chicago Marathon, race officials announced Thursday. Ethiopian athlete Tsegaye Kebede, who became the first man from his country to win the Chicago Marathon in 2012, will return to run the race for the fourth time. Kebede’s 2012 victory marked his personal best, finishing at 2:04:38. On the women’s side, Florence Kiplagat of Kenya comes back to Chicago after finishing 2:25:57 in 2014. She holds the world record for the half marathon, breaking her own record in Barcelona by clocking an unmatched 1:05:09. 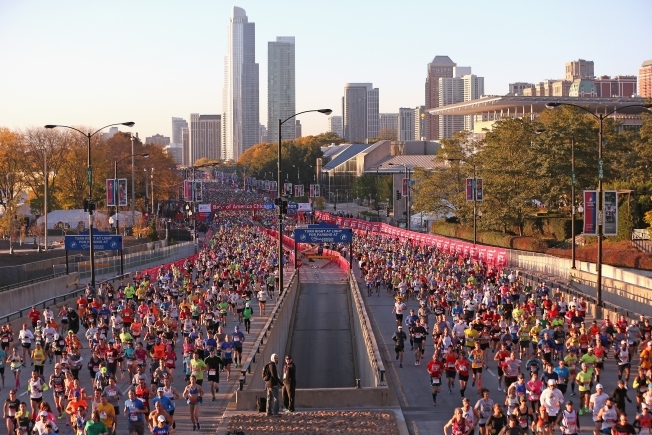 "These athletes have the ability to test themselves and chase their goals on race day," said Bank of America Chicago Marathon Executive Race Director Carey Pinkowski. "The streets of Chicago will see some incredible talent and competition as these men and women show off their Olympic-level talent." In Marathon Training Tip 14, products available on the course are highlighted and the importance of training with the same products is strongly stressed. Marathon Officials Say: A 2008 Olympic Marathon bronze medalist, Kebede is one of the most accomplished and consistent marathon runners of the last decade. He will arrive in Chicago as a major presence on the AWMM race circuit, finishing in the top 10 of 15 AWMM races since 2009, including three victories, three second-place and five third-place finishes. After being left off of the 2012 Ethiopian Olympic team, a win in Chicago could catch the eye of his national federation and help him earn a spot in Rio. Marathon Officials Say: Kitwara stands out as Kebede's main contender. As the fifth-fastest man in history over the half marathon distance, Kitwara will toe the line in the windy city for the fourth time after steadily rising in the ranks over the past three years. He finished fourth in 2012, third in 2013 and second in 2014. He set a new personal best last year in Chicago, 2:04:28, making him the fastest man in this year's elite field. Marathon Officials Say: Chumba was a relative unknown until he burst onto the scene in 2014 with a win and course record at the Tokyo Marathon. 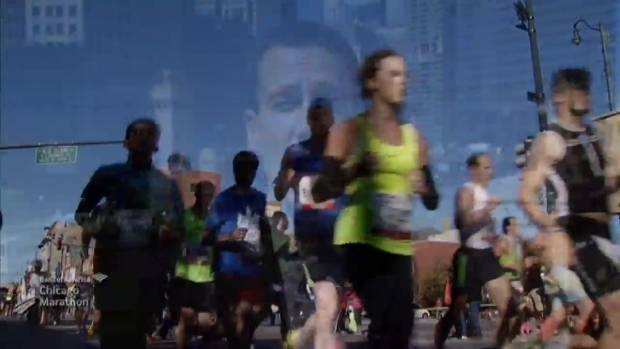 He followed that performance with a third-place showing at the 2014 Chicago Marathon in a new personal best, 2:04:32. Marathon Officials Say: Korir, an elected member of the Kenyan Parliament, will make his seventh appearance in Chicago, the most of any elite athletes in the field. Career highlights include his second-place finish at the 2011 Chicago Marathon, followed by his victory in Boston in 2012 and his fifth-place finish and personal best, 2:06:13, in Chicago in 2012. In Marathon Training Tip 13, Paul Miller, Nike+ Pace team coordinator, discusses the benefits of running with a pace group in the marathon. Lucas Rotich (2:07:17) and Sammy Ndungu (2:07:04) finish out the list of elite runners from Kenya. Marathon Officials Say: Negesse has a lot at stake in his Chicago Marathon debut. As the 2015 winner of the Tokyo Marathon, he is in the running for the AWMM series title. He needs to score in Chicago to have a chance at the $500,000 prize. Marathon Officials Say: Regassa, who placed second at the 2015 Xiamen Marathon and fifth at the 2015 London Marathon, made his marathon debut in Chicago in 2012 in a time that remains his personal best, 2:05:27. Marathon Officials Say: Kuma won the Rotterdam Marathon in April, and he holds a personal record of 2:05:56. Marathon Officials Say: Satoshi leads a strong contingent of Japanese runners. He has a personal best of 2:10:45. Australia's Liam Adams, Canada's Rob Watson and Great Britain's Mitch Goose round out the international field. Adams ran his 2:13:49 personal best in 2014, and Watson clocked a 2:13:29 in 2013. Goose will be making his 26.2-mile debut following a successful collegiate career at Iona College. 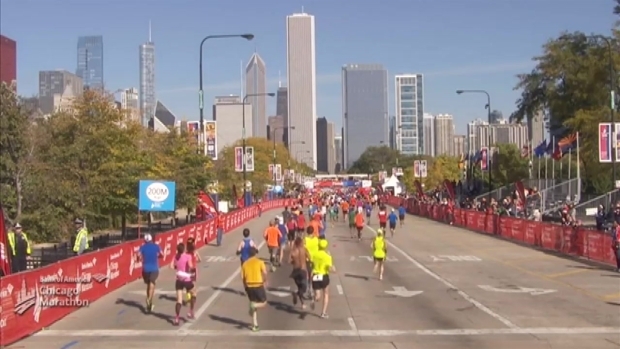 Marathon Officials Say: Cabada will make his first Chicago appearance as the top American in the field. He set his personal best, 2:11:36, last year in Berlin. Sean Keveren, of Charlottesville, Va., will be making his marathon debut after posting an impressive 1:02:52 half marathon at the 2015 U.S. Half Marathon Championships in Houston. Marathon Officials Say: Seboka enters Chicago, challenging Kiplagat and seeking her first AWMM career win. She launched her professional running career 12 years ago with a modest 2:46:33. Over the past decade, she has run more than thirty-five marathons - unprecedented for an elite marathoner - and she welcomed the new year with a personal record in Dubai, 2:21:56. Marathon Officials Say: hopes to be among the leaders down the homestretch. She arrives fresh off a personal best and a second-place finish at the 2015 Paris Marathon in 2:23:30. Marathon Officials Say: Fukushi is a three-time Olympian (Athens, Beijing, London) and a former world record-holder in the 15K. She finished second in the 2011 Chicago Marathon, and with a marathon personal best of 2:24:21 and a half marathon personal record of 1:07:26, she has the speed necessary for a podium finish. Marathon Officials Say: Britton represented Ireland at the 2008 Beijing Olympics (steeplechase) and 2012 London Olympics (5,000m, 10,000m) and she has set her sights on chasing an Olympic qualifying time in the marathon. She made her 26.2-mile debut in 2014 (2:31:46). The United Kingdom's Susan Partridge (2:30:46) also will come to Chicago in an attempt to qualify for Rio. Other international runners who could make it to the top ten, according to marathon officials, include Burundi Olympian Diane Nukuri (2:27:50) and Denmark's Jessica Draskau Petersson (2:30:53). Marathon Officials Say: The 2005 Chicago Marathon champion, Olympian and American record-holder will attempt to break Colleen De Reuck's American masters record of 2:28:40, set in 2005 in Chicago. Kastor had an impressive 2014 where she set five masters world records en route to her half marathon masters world record (1:09:37). Kastor is an Olympic Marathon bronze medalist (Athens) and the only U.S. woman in history to break the 2:20 barrier. Marathon Officials Say: Russell stands out among a deep field of American contenders. Russell, a 2008 Olympian and 2:29:10 marathoner, announced her comeback with a win at the 2015 USATF National Marathon Championships. Marathon Officials Say: Scherf returns to Chicago after posting a 2:32:19 personal best at Grandma's Marathon in June. She ran the sixth-fastest marathon time by an American woman in 2015. Sarah Crouch (Blowing Rock, N.C.) also returns after experiencing a huge breakthrough in Chicago in 2014, subtracting 12 minutes from her personal record to finish in the top 10 in 2:32:44. Marathon Officials Say: Hall made her highly anticipated marathon debut at the 2015 Los Angeles Marathon, finishing in a disappointing 2:48:02. She rebounded two weeks later at the IAAF World Cross Country Championships with a 20th place finish. Hall posted a 1:10:49 half marathon this summer, indicating she is ready for redemption in Chicago. Marathon Officials Say: Moody will be seeking the Olympic Trials "A" standard after not racing the marathon distance since 2013. A veteran of five Chicago Marathons, Moody knows the course well; she set her personal best, 2:30:53, in Chicago in 2010. For more information on the race or runners, visit chicagomarathon.com.